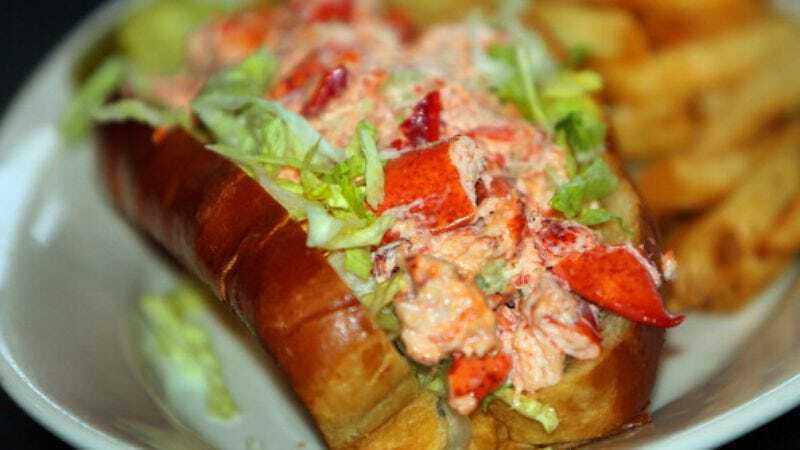 With summer officially over, now is your best (and perhaps last) chance to indulge in a lobster roll, one of the great savory treats of the warmer months. New research published by the International Council for the Exploration of the Sea (ICES) Journal of Marine Science suggests American baby lobsters may not be capable of future survival thanks to rapidly increasing ocean temperatures. News about global warming is always grim (even when explained via cartoon), but this one is particularly painful for those of us with a taste for this particular crustacean. Researchers affiliated with the University of Maine’s School of Marine Science, Warren Wilson College, and the Bigelow Laboratory for Ocean Science found that baby lobsters, when raised in waters a mere 3 degrees warmer than average nearby ocean temperatures (19 degrees celsius as opposed to 16 degrees celsius) experienced rapid, abnormal growth, and significantly higher rates of mortality. While the new ICES study helps to further demonstrate how global warming is impacting the foods we love and crave, it’s also important to note that this isn’t novel information. The Portland Press Herald notes that lobster catches off the coast of Cape Cod have radically declined since their peak in 1997, and that a world-wide desire for lobster flesh has only risen. This type of water temperature rise also isn’t a distant threat: it’s already happening. Get your lobster while you can, because it’s only going to get more expensive and elusive.